Having gaps in your smile can make it difficult for you to be confident in your smile. Many people consider a smile a first impression, and when you are not secure, it can leave a damaging effect. Though dentures and partials may have crossed your mind as solutions, you may want something more permanent to your smile woes. At Elmbrook Family Dental, we understand how you feel with wanting a full, beautiful smile, which is why we offer dental implants to our patients. 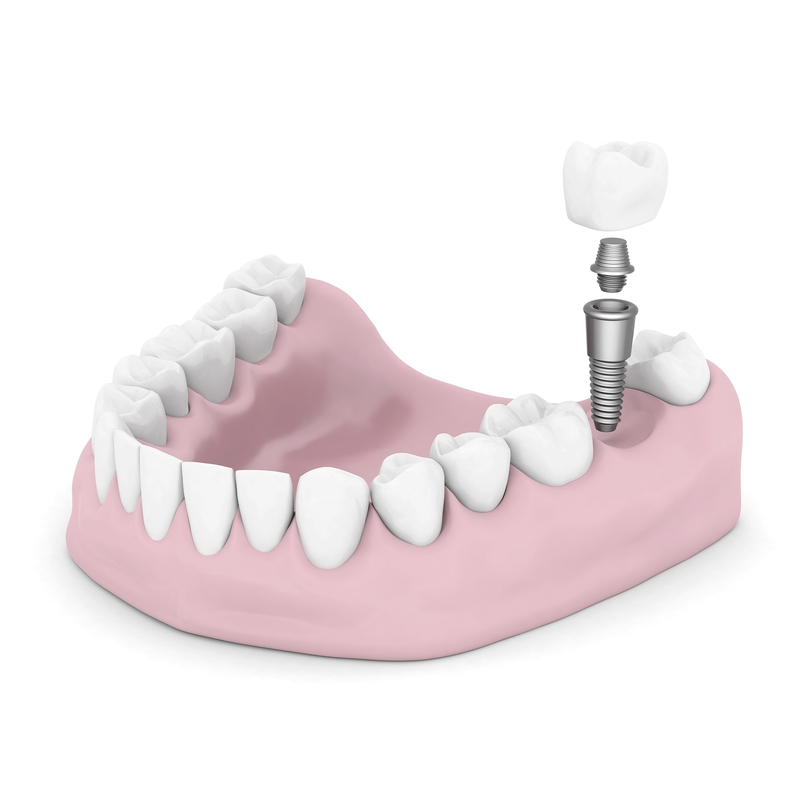 A dental implant is composed of a titanium screw and a crown. Once it is considered that you are a candidate, the screw will be embedded into your jaw, and will fuse with your natural bone over time. After the post, the tooth-resembling crown is placed on top, making your new smile look natural, beautiful, and vibrant. Although we do not install the posts ourselves, we work closely with a trusted oral surgeon or periodontist who are more than capable of performing excellent dental surgery. Drs. Brunner, Taibl, or Tack will be able to attach the crown, perfecting your smile. Because dental implants resemble a tooth’s natural structure, you will not have to worry about special techniques you have to do, adhesives, or any other annoying routines. All you will need is wanting a change and our talented staff! Elmbrook Family Dental is committed to providing state-of-the art dental care for you and your family from our Brookfield, WI dental office. Call us today to learn more or schedule your next appointment.